The current plague of obesity and poor health habits is threatening the relevance of the Christian Church. Our mission is to improve the physical, mental, and spiritual health of the Christian Church by emphasizing the current health dilemma that the Church is facing and urging Christians to learn and live the basics of good physical and spiritual health. Only by integrating medical knowledge and applied faith can individuals be empowered to change their lives. Christian Health Forums was founded with the hope that individual Christians and the Church as a whole will use the power within the Christian community to fully carry out the work of Jesus on Earth. Promote awareness of the Modern Plague (tobacco abuse, obesity, physical inactivity, poor diet) highlighting the devastating effects these lifestyle choices are having on Christian families. Start a dialogue with the Christian Community emphasizing the Christian responsibility to maintain good health and the Church’s’ responsibility to be an example of healthy living to the nation. Encourage and enable members of individual Churches to follow the 4 Principles of Healthy Living. (Do not smoke, Maintain a BMI<30, Exercise 150 minutes/week, Eat 5 servings of fruits or vegetables daily). Revive the power of the Holy Spirit in the daily lives of Christians. After two years in the Navy, Dr. Chandler earned a degree at Wake Forest University. Chosen as one of the first class of Morehead Scholars at the University of North Carolina at Chapel Hill, he graduated from the School of Medicine with a M.D. degree. After 20 years of private practice in Hickory, NC, Dr. Chandler took a position as Associate Professor with Wake Forest University School of Medicine, teaching medical students as the medical director of The Reynolds Health Center. He presently is Professor Emeritus at Wake Forest. Dr. Chandler is also sub-investigator in the Departments of Cardiology and Endocrinology with the Accord Study - a large NIH study of Adult Diabetes. 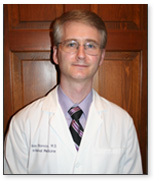 In addition to his medical profession, Dr. Chandler has been an active leader in the Church. 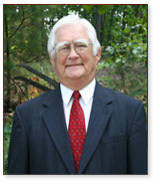 He is a current member, Sunday school teacher, and past Deacon at Rich Fork Baptist Church. Five times he has ventured to Africa for missionary doctoring with missionary colleagues in Sierra Leone, Liberia, Tanzania and Kenya. 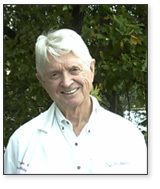 Dr. Morrow grew up in Thomasville, NC. He received his undergraduate degree from Wake Forest University in 1990 then received his medical degree at Wake Forest University/Bowman Gray School of Medicine in Winston-Salem, NC in 1994. Internal Medicine Residency at Wake Forest University Baptist Medical Center from 1994 -1997. He was Assistant Chief of Medicine for the Internal Medicine Program in 1997 and received Internal Medicine Board Certification in 1998. He is currently in practice in Winston-Salem, NC. Reverend Morrow was born in rural Catawba, NC in 1937. He attended Wake Forest University from 1955 - 1959 then went on to attend Southeastern Baptist Theological Seminary from 1959 - 1962. He has pastored several churches in NC and spent 26 years working at Baptist Children's Homes of NC with his last position being Assistant to the President. He retired in 1999 and currently lives in Catawba. It started in 2006 with lunches at Cloverdale Kitchen, a family owned restaurant in Winston-Salem, NC. Dr. Ray Morrow and Dr. Ted Chandler met to discuss issues of health, family, and religion. - the struggles of hardworking people to do the basic things to take care of their health. - the difficulty of professing Christians to overcome the self destructive tendency of our world. We wanted to find some way to bring together the power found in Christianity and the basic concepts of healthy living to enable Christians to improve their health. We started simply, devising some weight loss tools that we could use with our clinic patients - Smart Moves, The REDUCE Diet, Not By Bread Alone Weight Loss. We used Ray’s dad Phil (a Baptist minister with diabetes) as our test patient. Working together, we devised a simple diet (The REDUCE Diet) along with some simple exercises for Phil to try. We were amazed when Phil easily dropped 20 pounds and came off several of his medicines. Also, his body became more flexible and toned and his joints did not ache all the time. He was able to enjoy life more fully because of a simple lifestyle change. What was more amazing was that when other individuals saw Phil’s transformation they were motivated to try the plan. Over time we found that each individual who tried and stuck with the program lost weight and felt better. As we worked to apply a program of structured lifestyle interventions to a wider group of our patients (Dr Morrow in a primary care practice and Dr Chandler in a diabetic research study – The Accord Trial) we were amazed at how much resistance we met. Many patients felt helpless to make any change in their lives which might improve their health. They wanted to change. They understood how to change. They just could not make the change happen. What was of more concern was that as Christian physicians we noticed that many of the patients who felt helpless to change their health were themselves Christians. There seemed to be the common belief among many Christians that the Power of Christ could transform the spirit, the soul, possibly the mind, but, not their body nor their health. This would not be so concerning if it were just a physical problem. However, for many Christians their health problems directly affect their ability to do the work of Jesus. It affects them physically, mentally, emotionally, and spiritually. They often find themselves spending more time at the doctor's office than they do on the mission field. Thus, their witness is impaired. So we came to the realization that to truly cause a lasting health change in an individual there must be a transformation physically, mentally, and spiritually. As Christian Physicians we sat down and wrote The Spiritual Principles of Change - biblically based Spiritual Principles which individuals must have in order to cause any substantial change in their lives. In 2008 we became aware of a series of studies that showed poor health in the Church, especially the Baptist Church of which we are members and Phil Morrow is a minister. Obesity was found to be more prevalent in evangelical denominations than in the general population, with Baptists in the lead. A survey conducted during a recent Southern Baptist Convention found that among the messengers 75.6 percent were overweight or obese, 39 percent were sedentary, and 39 percent had elevated cholesterols. And most notably, a study from the Duke Divinity School found that 76 percent of clergy were overweight or obese, a higher percentage than the nation as a whole. As Christian physicians this alarmed us. Not only was our nation killing itself with self destructive health habits, but, I many ways, especially obesity, the Christian Church was leading the way. And our church leaders and pastors, those who should be an example of restraint and self control, were as a group one of the most out of control, self destructive groups in our nation. Since efforts at influencing our patients health habits in the clinic setting were largely failures we took the next step. We decided to take this message of poor health to the Church. We decided that as Christian physicians we were called to go to the place where much of the sin was taking place - the Church. The Church has become a sick house. The institution which should be the example of restraint and self control to our out of control nation had, in terms of health, become one of the problems. Our message would be simple - honest and hopeful. 1. Our Nation is killing itself through the Modern Plague. And the Christian Church - the body of Christ on Earth - is indifferent to this crisis. What is worse is that through the socially acceptable sins of gluttony and sloth the Christian Church is leading the nation off the cliff of poor health. 2. The cure to the Modern Plague is simple yet impossible. Simple in terms of what needs to be done for the cure. The 4 Principles of Healthy Living. -	Maintain a BMI<30 (Do not be obese). -	Exercise 150 minutes a week. -	Eat 5 servings of fruits or vegetables daily. Multiple studies have conclusively shown that people who do these 4 health habits have dramatically better health with almost an elimination of chronic health problems. Impossible in terms of the power to do it. The self destructive, out of control, nature of our society - our hurried, stress filled lives - has overcome our ability to act, our ability to do even the simplest things to improve our health. We as a nation are resigned to illness. 3. Only in the Church can this Modern Plague be overcome. can our self destructive nature be overcome. Only by linking these Christian beliefs to simple health habits can the informed, inspired, and supported Christian sustain these health changes where the rest of society has failed. We started going to churches in December 2008 starting with Courtney Baptist Church in Yadkin County, NC. We would go on a Wednesday night and present "Dare To Be A Healthy Christian" as a powerpoint slideshow. Dr Chandler would lead the presentation then have a question/answer session. All church members were given a Dare To Be A Healthy Christian Healthguide detailing The 4 Principles of Healthy Living and emphasizing the guidance of the Holy Spirit in the daily lives of Christians. We decided to refuse any payment or Love offerings - there are enough people selling health, especially in the Church. You received without payment; give without payment. In 2009 we launched the website www.ChristianHealthForums.com putting the church presentation and all of the information we have created on Christian health in a freely downloadable form. In 2010 we created a Sunday School Series in the hope of bringing the message of good Christian health to younger adult Sunday School classes. We hope that inspired Christians will share the Dare To Be A Healthy Christian presentation and healthguide with their church or present the Sunday School Series within their Sunday School classes. We continue to go the local churches, currently contacting the churches in the Catawba Valley Baptist association and going to any church willing to have us speak on Christian health.